In Sierra Leone, MSF aims to contribute to the recovery of the health system following the Ebola outbreak and combat high mortality rates among pregnant women and children. In early 2014, the West African nation of Sierra Leone seemed as though it was finally putting its decade-long civil war behind it. In the years prior to the outbreak, the country of more than 7 million had experienced substantial economic growth. In Tonkolili, MSF supports the paediatric ward, maternity and neonatal services, and the blood transfusion laboratory at Magburaka district hospital, and assists Magburaka mother and child health post with staff and supplies. 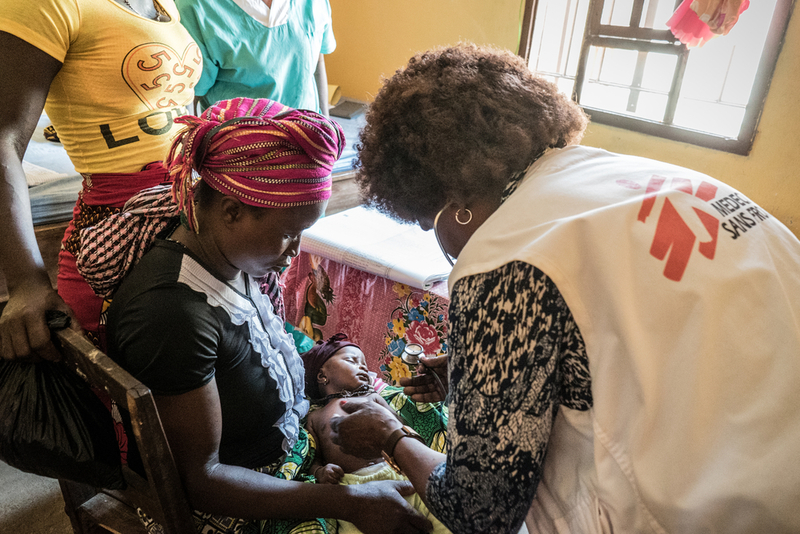 MSF works with Ministry of Health staff to provide paediatric and basic emergency obstetric care in the community health centre in Yoni chiefdom. At the end of 2016, a study conducted by MSF revealed the under-five mortality rate in rural Yoni chiefdom to be close to the emergency threshold (1.55 deaths/10,000 people/day). MSF nurse examining a baby showing symptoms of malaria. In 2017, during the rainy season, MSF trained and deployed community health workers to conduct malaria screening, treatment and referrals in villages in 10 different locations. A total of 13,792 children were screened and 77 per cent tested positive. MSF supported four additional healthcare units in the district, with medical supplies and training, mentoring and supervision of Ministry of Health staff. 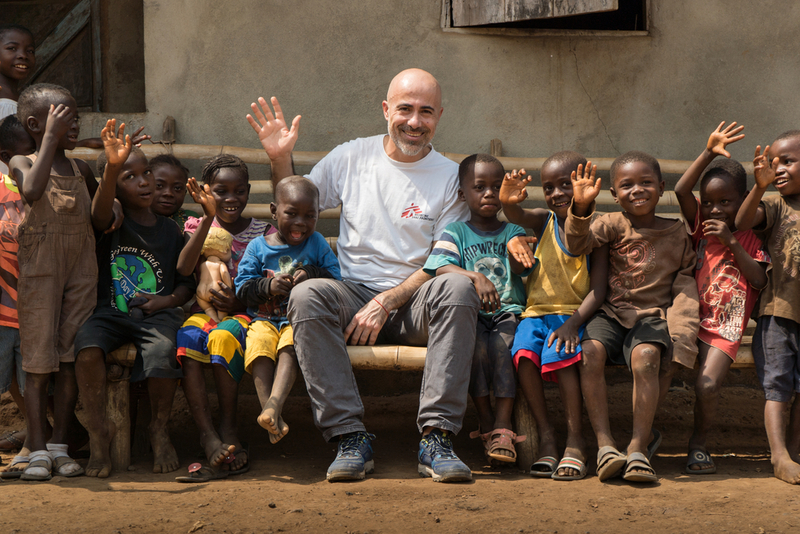 MSF staff member with local children outside Robarrie clinic, Tonkolili district. In Koinadugu, MSF staff work in the paediatric and maternity wards and the emergency department at Kabala district hospital. By the end of the year, MSF had assisted 1,314 births and treated 618 women with pregnancy complications – an important achievement in the fight against maternal mortality in the district. In 2017, teams also started to offer primary healthcare in four health units in Mongo chiefdom and opened a blood bank in one of them. An MSF team supports the community health centre, community health workers, traditional birth attendants and the health post with capacity building, maternal and child healthcare, supplies of essential medicines, health promotion and infection prevention and control. MSF also supports the entire district referral system. In Tonkolili, Koinadugu, Kenema and the capital, Freetown, MSF teams continued to monitor the nutrition situation and to respond to emergencies. 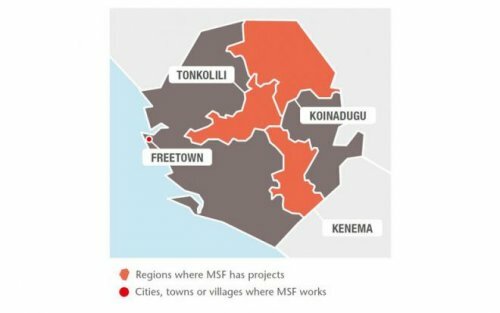 In August, MSF participated in the response to the landslide and floods that occurred in Freetown, providing clean water to more than 3,000 people at three different points in the city. MSF also assisted the Ministry of Health during a cholera vaccination campaign that reached around 120,000 people in high-risk areas of the capital, providing staff supervision, health promotion activities and logistical support.